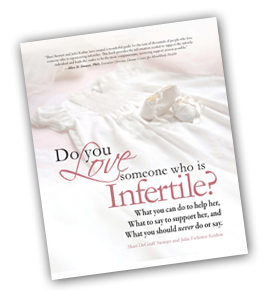 A lavishly illustrated and simply worded guide to understanding the emotional and interpersonal challenges of infertility. In it you will find intimate, empathic insights into the heart of the infertile woman for your own comforting or to help your husband, family, or friend to finally "get it"; to finally grasp what you yearn for them to understand about the suffering and loneliness of infertility. This Guidebook is identical to the Journal, but in a much smaller format for easy carrying and sharing, a beautiful and thoughtful gift book. Get the tool you need to make sense of this experience.